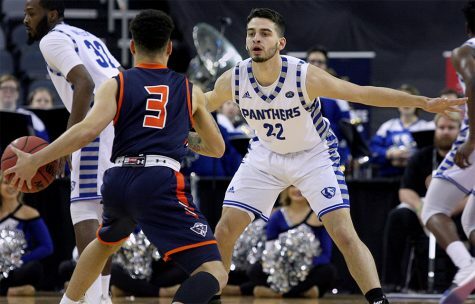 The race for the OVC trophy got even closer last week as four teams share the number one spot while Eastern sits just behind the top of the pack. 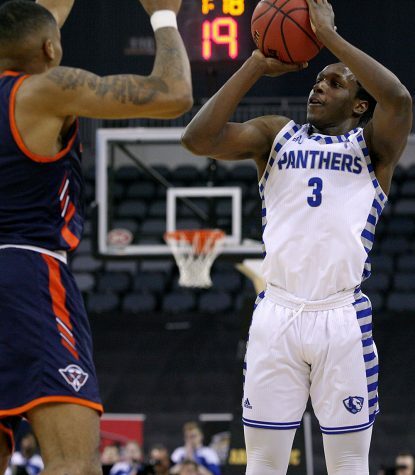 The Panthers (13-10, 6-4 OVC) won a thriller in Lantz Arena last Thursday to Eastern Kentucky in a 67-66 finish to kick off the week. Eastern held one of the conference’s top scorers, Colonels senior Nick Mayo, to just 4-19 shooting on the night to secure the win, though Mayo still finished with a double-double of his own. 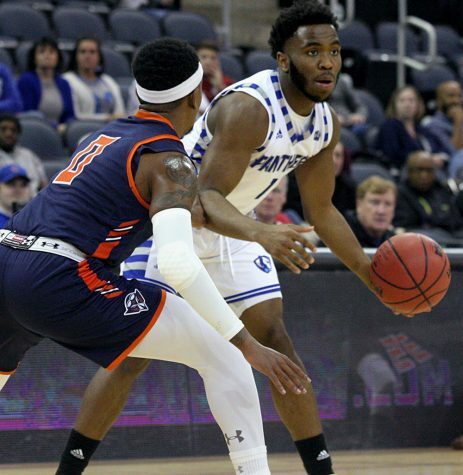 Eastern sophomore Mack Smith led the game with 17 points including four three-pointers, extending his streak of three-pointers made in consecutive games to 39, the longest in the OVC. 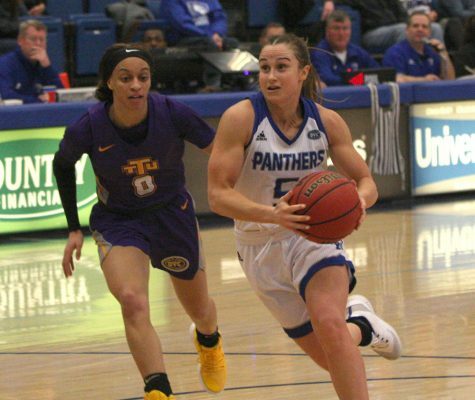 The Panthers could not follow up the performance against Morehead State, however, as Eastern fell to the Eagles 84-78. Eastern gets back on the horse this week with its second and final matchup of the year against Murray State on Thursday and a weekend slate with Austin Peay. 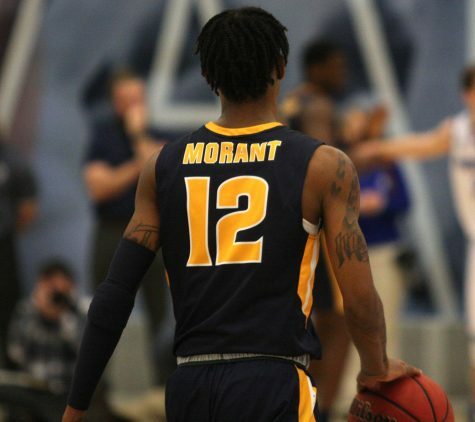 Meanwhile, Murray State sophomore Ja Morant continues making waves around the country, making the top-20 cut for the John Wooden Award, given at the end of the year to the nation’s top college player. On the floor, though, the Racers (17-4, 8-2 OVC) have fumbled in the standings after an 88-68 whopping done unto them by Jacksonville State. Morant did his part, posting 21 points and 11 assists, but it was Gamecocks senior Jason Burnell that stole the spotlight and the win for Jacksonville State, pouring in 21 points of his own with 15 rebounds. 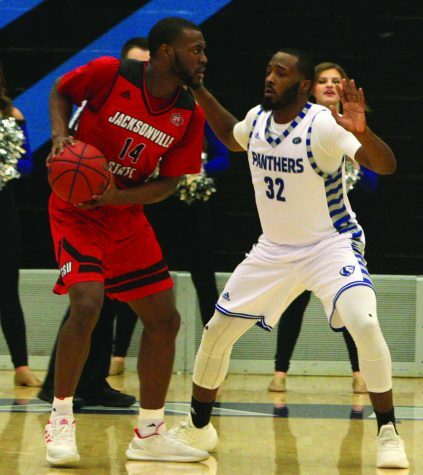 The win temporarily put Jacksonville State (16-7, 8-2 OVC) on top of the conference, but the Gamecocks were unable to stove off Austin Peay over the weekend to maintain the No. 1 ranking. For Murray State, the weekend helped them secure a share of the top slot after a 67-63 win over Tennessee Tech to go along with the Jacksonville State loss. Morant rose to the occasion with 28 points of his own. Murray State takes on Eastern before hosting Southern Illinois Edwardsville, while Jacksonville State hits the road for matchups with Tennessee-Martin and Southeast Missouri. The last of the four horsemen, Austin Peay (16-7, 8-2 OVC) and Belmont (17-4, 8-2 OVC) both used 2-0 weeks to boost their resumes. 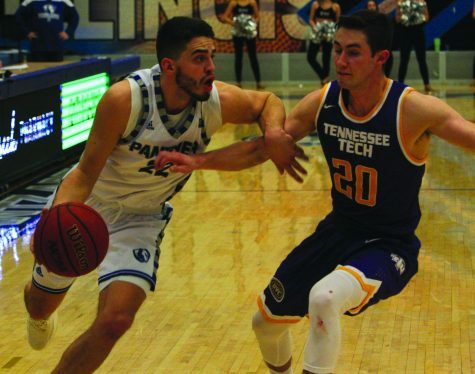 Austin Peay’s tight win over Jacksonville State was preceded by a 77-66 victory over Tennessee Tech on Thursday. Austin Peay sophomore Terry Taylor was awarded the co-OVC Player of the Week award for his 56.3 percent shooting over the week, adding 27.0 points per game and 7.0 rebounds per game averages. 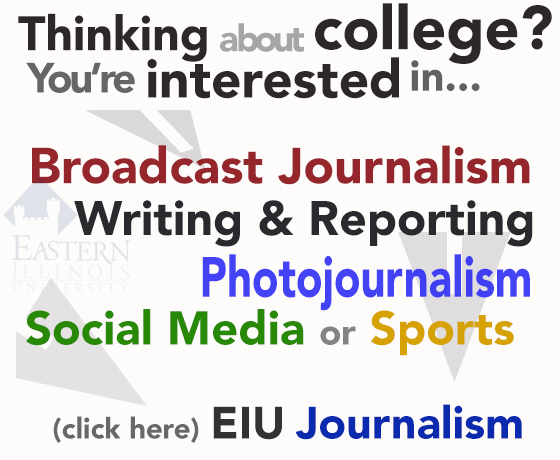 The Governors face Southern Illinois Edwardsville Thursday before the weekend faceoff with Eastern. 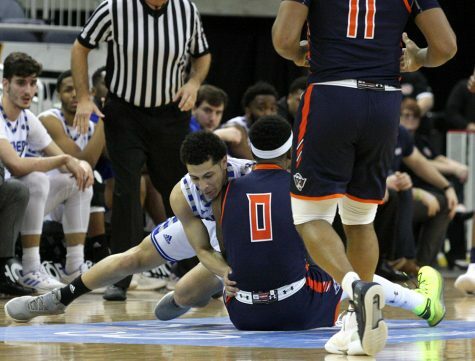 For the preseason favorite Belmont, the theme of the week was blowouts, as the Bruins shellacked Southeast Missouri to the tune of 97-71 before downing Tennessee-Martin at home 82-67. Belmont senior Dylan Windler shared the OVC Player of the Week honors after posting averages of 23.5 points and 14.5 rebounds per game, along with seven three-pointers in the two contests. Belmont travels to hit the hardwood with Eastern Kentucky Thursday and then again on Saturday against Morehead State.